30th Street Guitars is where you go in NYC to find something unique, to have something expertly repaired, and to peruse an exceptional pedal selection. 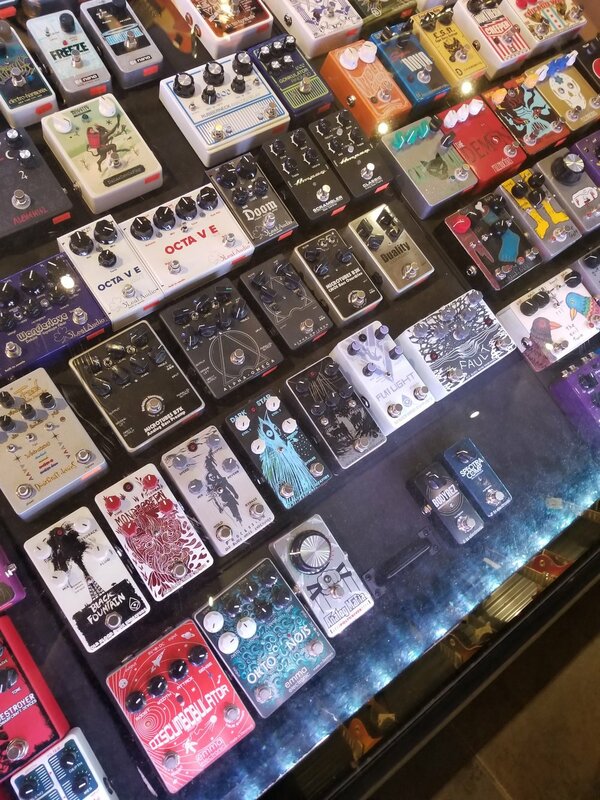 If you are ever lucky enough to be in New York, New York, stop in and test out the full OBNE line of effects. "Since 1995, 30th Street Guitars, located in the heart of NYC's studio/rehearsal district, has been servicing the New York music community. We offer vintage and used guitars, expert repairs, a large assortment of the hottest new effects, pedalboard builds and a huge inventory of new and used amps. Founded by Matt Brewster, 30th Street Guitars began in a smaller location on the block, but moved to accommodate the rapidly expanding clientele. Since then, it has become an institution for local musicians, as well as a destination for players and collectors worldwide. Matt has always built custom guitars for clients. A few years back, he started his own line called RUST - his motivation on the designs has always been vintage formula, modern playability. "30th Street Guitars' immense collection of top-shelf vintage electrics and unrivaled selection of used amplifiers never disappoints."